One spoonful of delight for clear and bright skin! Stand pouch and pull out spatula. Pour cold water until the line on the pouch. Tear bottom of the pouch, stir content. Apply content onto cheeks, chin, forehead and nose. After 10~20 minutes, remove and finish with skin care. 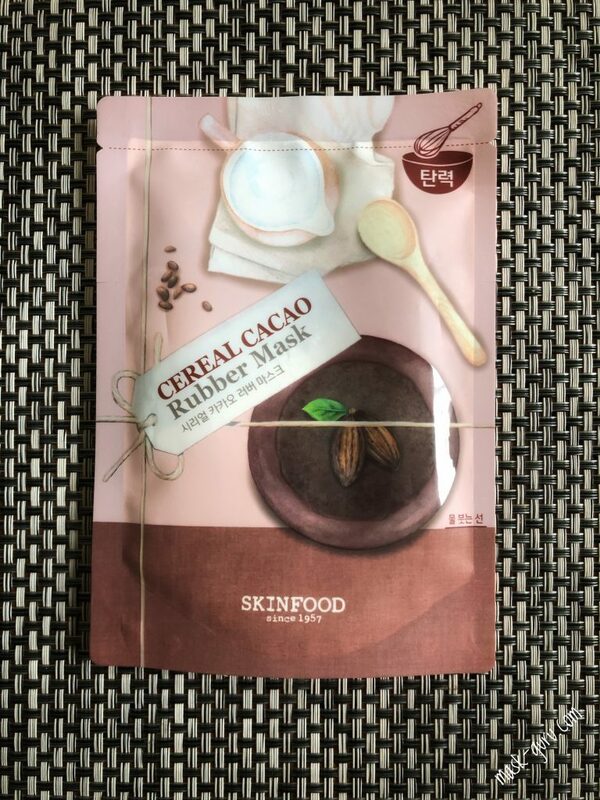 The SKINFOOD Cereal Cacao Rubber Mask is great example of how the rubber mask should perform on the skin. The biggest down-fall for me was the unhandy packaging but I am looking passed that since the results were so amazing on my skin. 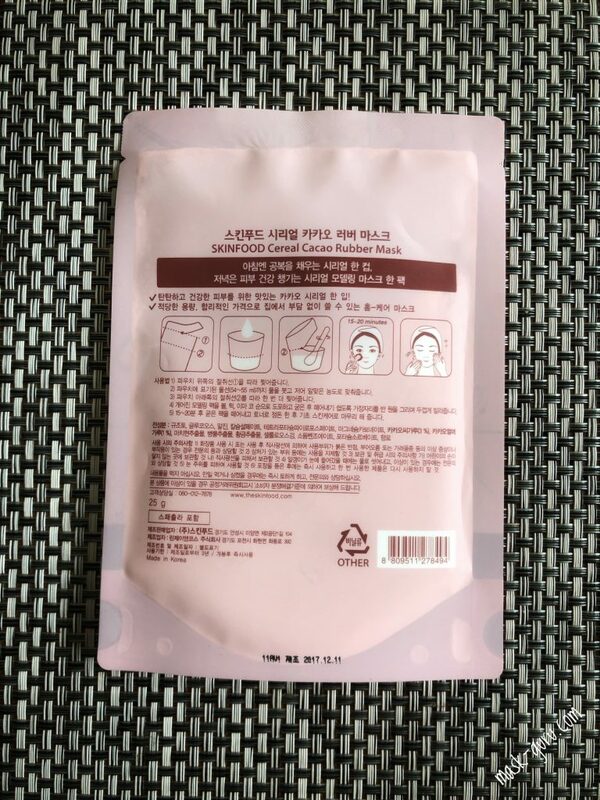 As I already mentioned, the packaging could be way bette.r I do like that it save space but I would love it more if there would be no folded bottom to it because that is the place where all of the powder tends to get stuck in. If it only had a flat bottom or came with an advised amount of water to add to the mixture. It would made my life much easier to mix it in the bowl. Now on to the positives of this gorgeous mask pack. 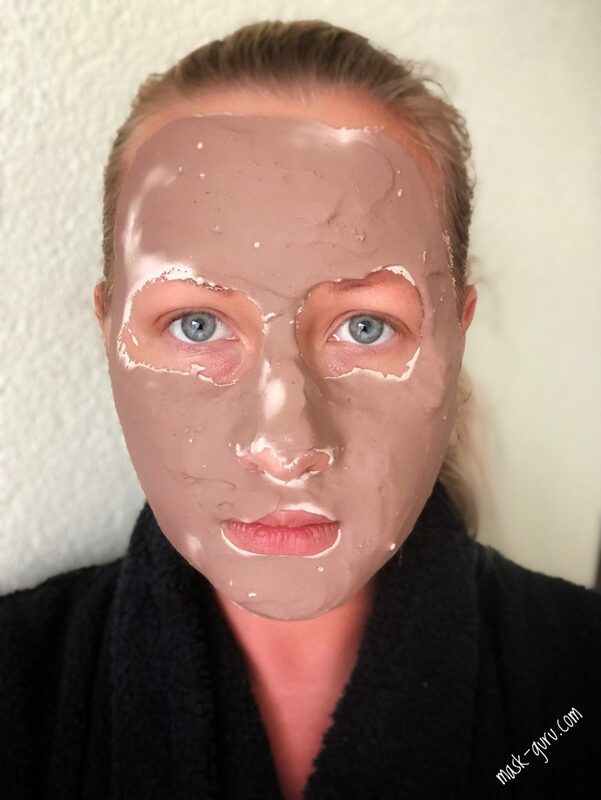 Since it is the rubber mask you receive the powder mixture and the spatula and the only thing you have to add is water. On the packet there is a big horizontal line present indicating to which level does the sachet have to be filled with water. Very handy if you never worked with such masks before. I did add the necessary amount of water and mixed everything with the spatula that came in the pack. FYI, the spatula is great quality and I am keeping it for my more stubborn clay mask packs that are not so easy to apply with a soft bristle brush. 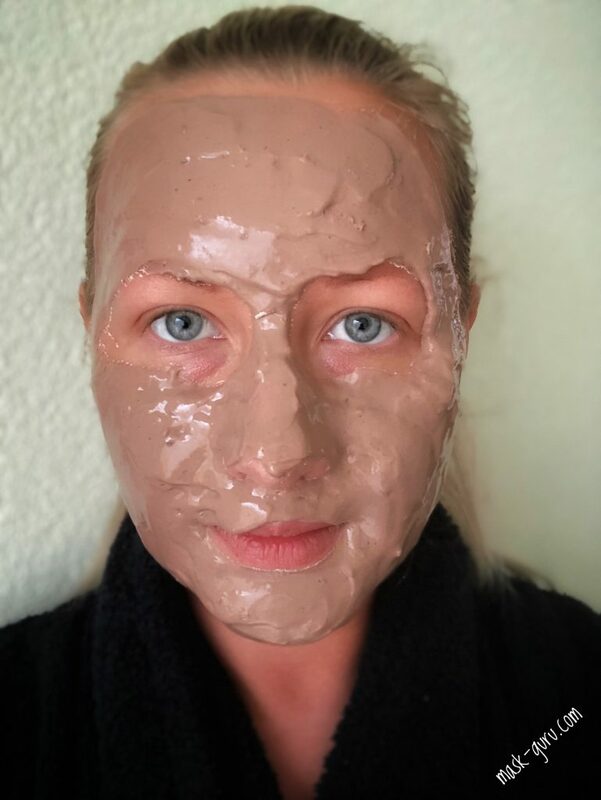 After mixing everything into a smooth paste I placed the mask onto my face and was expecting lots of dripping which never happened. I was very happy about the fact because it meant a mess-free wear. There is plenty of mixture to cover your entire face in a thick layer which I did. At the end of it approximately 1/3 of the contents remained in the pack meaning that next time I will apply it onto my neck as well. Yaay! As advertised, mask dries in 20 minutes and it is very easy to remove off your face. the only problematic areas were on my temples where I have a lot of baby hairs. the mask did get stuck there but it was very easy to brush out the residue with a normal fine toothed comb. I did not pull out my hair and overall removal was completely pain- and hassle-free. Mask came off in 2 large pieces and there were only few little crumbles left on the top of my nose and along the chin. Did I like it? Yes? Would I recommend it? Yes! Nothing can beat this price and quality ratio. 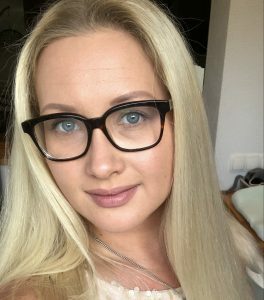 My face was baby smooth and felt very hydrated. My pores were visibly reduced in size and seemed to be less deep. The overall finish on my face was more on the matte side which I do like for a change. The next step in my skincare after using this mask pack was a simple moisturizer and SPF and I was good to go. You could also apply make-up straight after if you would want to. Without a doubt, this rubber mask was a great success. I do think that it will suit every skin type and will act as a great make-up base prior to any special occasions. Why? Because the skin is so darn smooth after it! It will photograph beautifully. 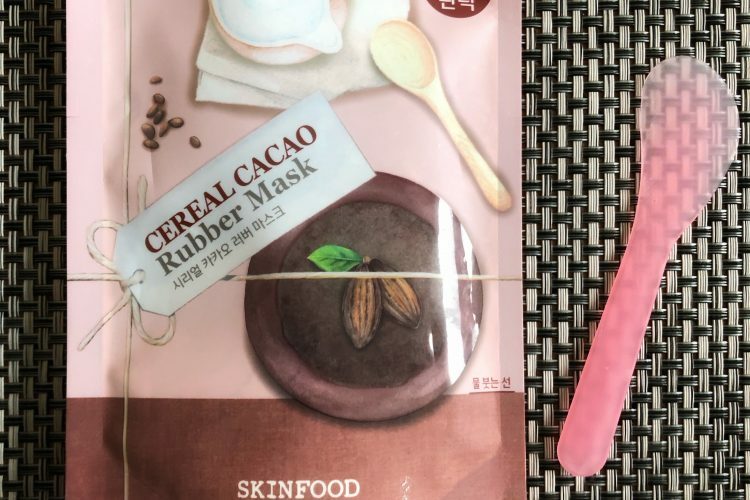 I still have 2 more masks from this line to try out which I will do somewhere next month so stay tuned for new SKINFOOD rubber masks reviews.